Cinestudio archives in the Watkinson! The Watkinson Library is pleased to announce an agreement with Cinestudio to take possession of, maintain, and provide scholarly access to the records of its organization. Cinestudio is a nationally recognized (and regionally famous) independent cinema located on the Trinity campus, which has enjoyed a devoted following for over forty years. Its archive is currently housed in a substandard storage area (the attic of Clement Hall), and is at risk from both bad weather and vermin. These records, tracing the development and operation of such a unique organization devoted to the exhibition of a diverse range of films, will be an invaluable scholarly resource. They also constitute a vital facet of Trinity’s cultural landscape from 1970 to the present day, and into the future (the Watkinson will continue to collect Cinestudio’s records going forward). We are especially hopeful that the nascent film studies program at Trinity will make use of this collection, and that, as we serve as the depository for Cinestudio’s past, present, and future records, we will find innovative ways to collaborate in our respective public programming. 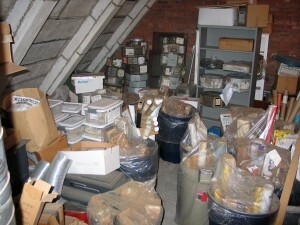 Current state of the Cinestudio archives, in the attic of Clement Hall. 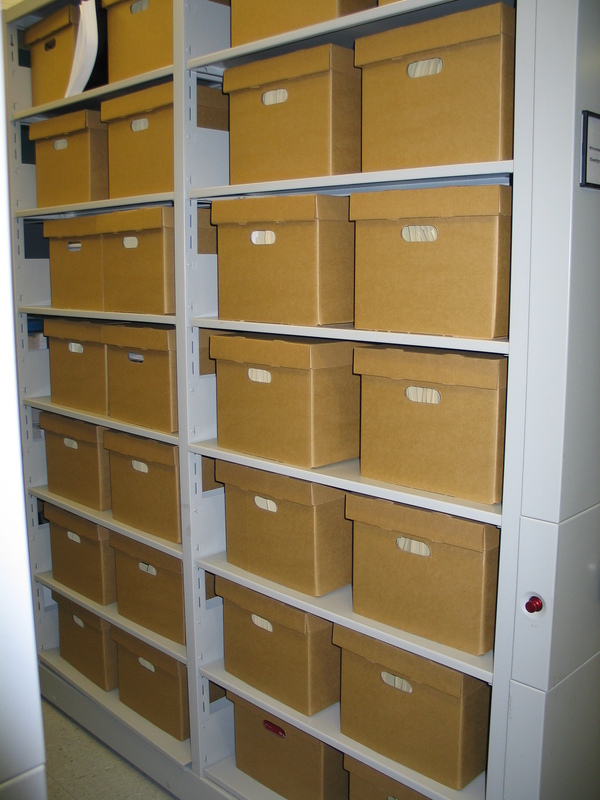 The materials include approximately 75 linear feet (in over 50 boxes, tubs, and file drawers) of business records and over 5,000 movie posters amassed by this important cultural organization, which has operated at Trinity College for over 40 years. 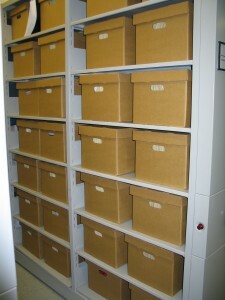 The Watkinson will oversee the processing of these materials—which include bills and invoices, flyers, programs, catalogs, press kits, accounting records, internal memos, correspondence, etc.—according to national standards, and promote the use of the collection to students, researchers, and the general public. What the archives will look like when they have been processed! Comments Off on Cinestudio archives in the Watkinson! You are currently browsing the archives for the Cinestudio category.